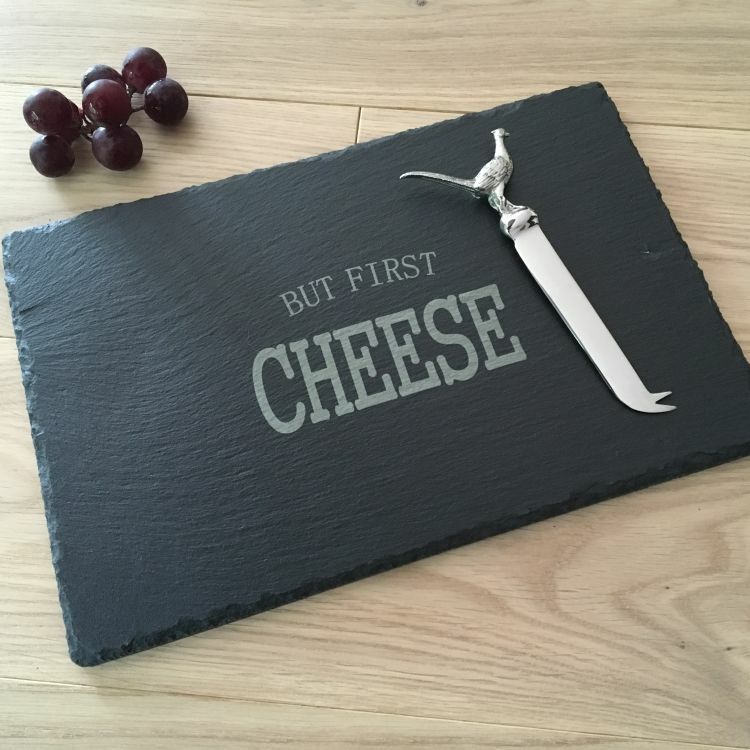 A beautiful Large Rectangular Slate Cheeseboard which can be personalised. Sure to impress your guests at the end of a meal! 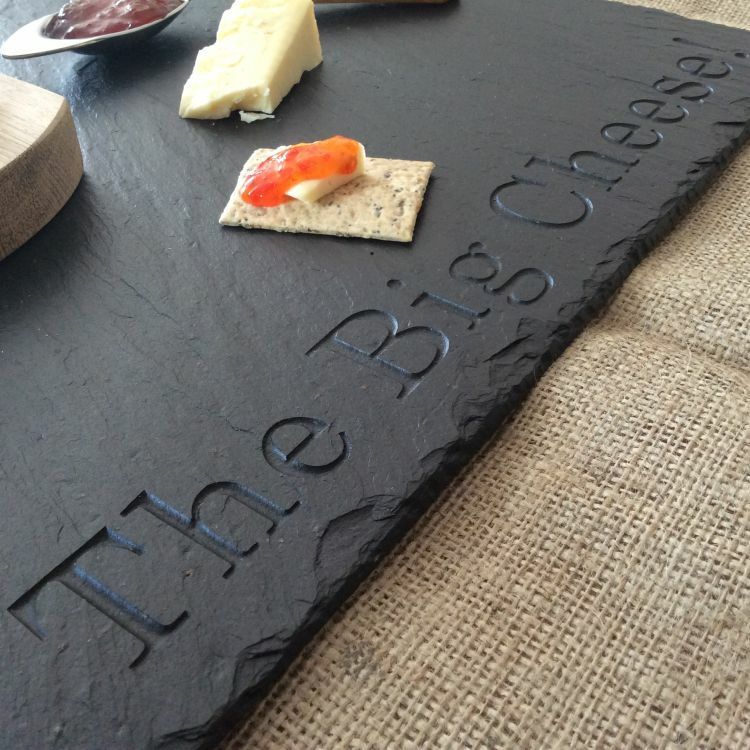 As well as providing a stunning backdrop for the cheeses and an elegant centrepiece for any dining table, the slate also helps to keep the strong flavours of different cheeses separate in order to fully appreciate them. Each slate is individually cut by hand using only the finest selected slate to be not only a functional piece but also a thing of pure elegance. Food safe and easy to clean and care for - it's hardly surprising that they have proven popular with top end restaurants and TV food programs. You can personalise the cheeseboard with a message using Deep Engraving. The Deep Engraved method goes deep into the slate and will last a lifetime. As well as choosing the words, you can also specify the layout of your personal engraving. However, Scottish Slate Gift are happy to use their years of experience to do that for you, so unless you have a specific layout in mind don't worry - they will do the creative part for you. Superb product and superb delivery. Superb product and superb delivery. Would recommend this company without hesitation. Excellent quality. Honestly the pictures don't do the products justice, they are fantastic, and look great on our oak table. They arrived very quickly and very well packaged to prevent damage in transit. I would highly recommend you wont be disappointed !